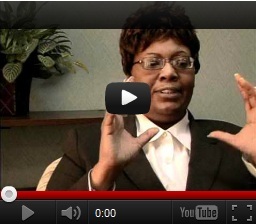 This video is a first hand experience with Trimethylaminuria (TMAU). CEO & Founder, Lisa M Marie of Silas Garrison Fisher, Inc, an organization dedicated to bringing about Public Awareness of Rare Medical Disorders, gives her account and experiences with living with this disorder. Lisa has kindly written her biography for this blog, see below, as we join efforts with her to assist her in her Raising Public Awareness of Rare Medical Disorders. Lisa has reached out to her local university to see if they would offer her pro-bono legal services to become a Charity, but they do not offer this service as Florida International University offered MEBO Research. Therefore, she is struggling to write the required documents and filing them on her own. 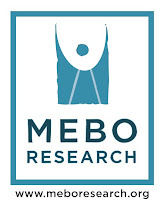 I hope that MEBO Research and Silas Garrison Fisher, Inc., can join forces from time to time to further our cause. This is a first hand account of my life living with TMAU, but TMAU is not my life. The first known symptoms occurred at the age of approximately (10) ten, when family members and school officials discussed my body odor. I was cared for by my grandmother, where she would use Clorox in my water, and a mixture of baking soda to manage the odor. As a child school was not easy, suffer bulling and abuse from other children. This abuse ranged from verbal insults to physical, such as having washing powder poured on me after school, or teachers having my classmates to take me to the bathroom to wash me. I was passive and often felt as though my condition was my fault and I somehow deserved the abuse. This was the first of my many moments of depression and embarrassments. As puberty set, the odor also increased, on many days I missed school. I had only one friend through high school as they also had their condition and we accepted each other just as we were. The odor seem to come and go at the most odd moments, and as I became more aware of the condition, I made it a purpose for me to avoid people. I sought to cling to my spirituality, however, I found people in Church judge you as well as the world did. It was then I realized that I only needed me and God alone to truly have church. As I began to seek employment, it was either I was qualified for the job, but after meeting me, I was not chosen, or if I was chosen and the disorder was not currently present, that multiple hygiene meetings were called, both public and private meetings. Soap was also left for me, or ugly notes. Traveling to and from work was not easy as I suffered harassment on buses, which ranged from the bus driver making bad remarks, (whereby with I began moving to the back of the bus opening a window) to a passenger spraying perfume around me. I began to be proactive and try to find out what was wrong with me via the internet. This was slso an issue, as librarians would turn up the air, spray air freshener or open a foor, then gathering and looking back at me. I found two conditions which were bromhidrosis and TMAU. I made characters that matched each disorder creating Heroes’ out of each one. I wanted to show that although we have this disorder we are all heroes’ and are a special gift to the world with a purpose. I took a test for TMAU and was diagnosed with the disorder in the 90’s, at the least I had a name. I still continue trying remedies and will never give up. Instead of feeling sorry for myself I began creating an organization (Silas Garrison Fisher) concerning this and other rare disorders that I had come across in my research. I wanted to make it interesting, and so I made characters that matched each disorder creating Heroes’ out of each one. I wanted to show that although we have this disorder we are all heroes’ and are a special gift to the world with a purpose. In so doing I added information concerning the disorders, a support group for people to gather and talk about there condition or even their day to day experiences, I wanted also to promote healthy eating for others. I currently have promotions on Facebook with giveaways to assist with public awareness. This is limited, for I am limited in funding. However, I am attempting to raising funds that would pay for testing of TMAU for individuals who have not yet been diagnosed, I feel my condition has a purpose, and this is one of those purposes. It has been going slow, as even advertising on Facebook cost, but I am hopeful. In losing I now have my children and a special person in my life that I can talk out anything, they have made me stronger, more outspoken. I have educated myself concerning laws and rights that protect me from abuse, and I use them to do so. P.S. God sent me a Minister and a counselor, just what I needed, as he is a part of my organization providing counseling (licensed). Rare diseases affects us all, no matter the race, color, creed, and nationality. Thank you, Lisa for coming forward and being proactive in your efforts to make a difference in the lives of all sufferers. The more sufferers who follow your example and join together, the more we can accomplish! I really enjoyed the information I learned from this site I believe I am a suffer of TMAU because I have a body odor that changes with the foods I eat and it effects my intestinal functions. I noticed the change in my body odor when I turned 32 years old I am 38 years old to date. So it through me for a loop when I started having these odor issues. I would like to be tested to see if I am a true TMAU carrier or if this is a medical condition that has been misdiagnosed. I can totally relate to people making rude comments and teasing and pointing fingers I think its sad when there are people in the world that have cancer and HIV/Aids is this how we as society respond to things we do not understand... People need to take a s step back before they judge people about medical conditions that they have no knowledge about. and to those people who tease and point fingers is that how you treat all people that have obvious medical conditions. I would like the EEOC to become aware of this disorder because I've been bullied and teased for the last 3 1/2 years by people who claim to be Social Worker and Therapist.